DiPrete Engineering teamed with Deepwater Wind to assist with the surveying and site engineering of the Block Island Transmission System. The Block Island Transmission System is an electric cable that will deliver electricity from the offshore wind farm to the mainland. DiPrete Engineering performed existing conditions and boundary survey for the cable starting at its beach landfall in Block Island, across the island, back into the ocean and landing onshore in Narragansett to its final point of connection in Wakefield, RI. From the beach, the cable remains buried beneath state roads. Several routes, consisting of over 13 miles of roadway in multiple municipalities, were surveyed and studied. DiPrete Engineering obtained local and state permits for the different routes. 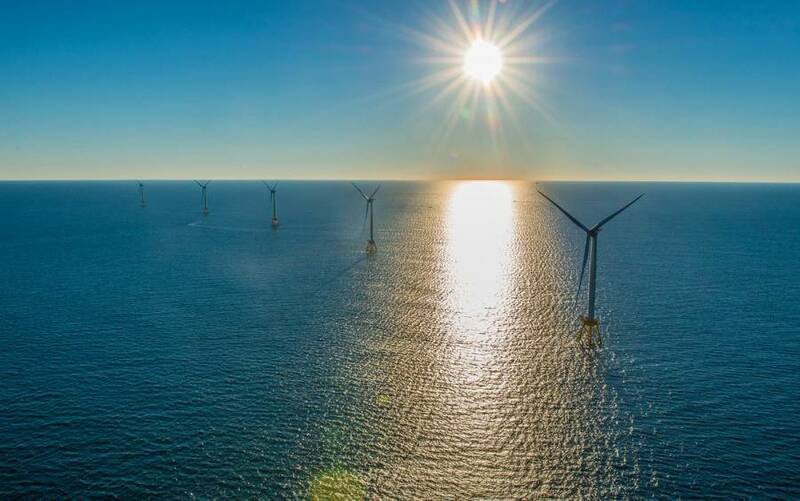 This is the first offshore wind farm in the United States and supplies the majority of Block Island’s electricity.